Sunday: I began my dive into Dilys Wood’s Antarctica* (Greendale Press, 2008), spending my discretionary time engaged by this collection, which includes The South Pole Inn, a novella in verse. 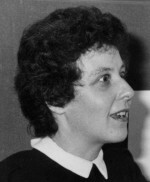 DILYS WOOD is a poet, an editor and the founder (“convenor” as she might say) of the London-based Second Light Network of Women Poets (SLN), which produces the biannual ARTEMISpoetry and includes a publishing arm, Second Light Publishing. I first encountered Dilys thanks to Myra Schneider. That award-winning poet with eleven published collections is a consultant to SLN. While Internet and email have a way of helping to cross borders and make affinity-based connections, closing the gaps in culture and miles (in this case some 5,500 miles as the crow flies), the tools are imperfect. It’s not the same as meeting, talking and observing in person. However, when you read what people write, when they risk themselves by putting their very souls on paper, you do get to know something about their values and passions. My strongest sense of Dilys was as the quiet persistent energy behind a women’s poetry collective and an apparently indefatigable advocate for women’s right—including women over 40—to poetic voice. At the point in which I first encountered Myra, Dilys and SLN, Dilys had collaborated on (mainly with Myra) four anthologies of women’s poetry. She had two collections of her own poetry published, Women Come to a Death (Databases, 1999) and Antarctica. That was, I think around 2010. Since that time, we are gifted through Dilys and Myra, Anne Stewart (poetry p f) and others on the SLN team with so many fine anthologies and magazines of women’s poetry, that I can hardly keep track. Dilys started writing poetry again after retiring from the Civil Service, where her jobs included being secretary of the Women’s National Commission. She shortly after founded Second Light, focussed on the needs of women reconnecting with writing after forty. Second Light Network developed into a support group and, on a small scale (though reviews suggest significant), publisher of women’s poetry. Together with her own writing (Antarctica, 2008; Women Come to a Death, Katabasis, 1997), Dilys has been the joint editor (mainly with Myra Schneider) of 4 womens poetry anthologies. If The Poet by Day (my information hub for poets and writers) was a poem, its title would have to have the tagline after Dilys Wood. The site is not the product of collaboration and membership. Nonetheless, its commitment to sharing information on poets and poetry, including gifted if lesser-known poets, and promoting and encouraging poets who are marginalized by their gender, ethnicity, disability or age – is very definitely inspired by Dilys work and commitment to mature women and the work and commitment of Myra Schneider and the other SLN women as well as by my own love of poets and poetry and the whole of poesy history and culture. Some poets feel that ‘male and female he made them’ should not be an issue. I disagree because I want to celebrate and gain personal inspiration from the last fifty years. There has been a vastly increased involvement of women as students of poetry, published poets, book purchasers and consumers of ‘products’ such as poetry festivals. I also want it debated why this has not meant equality of treatment by journals.